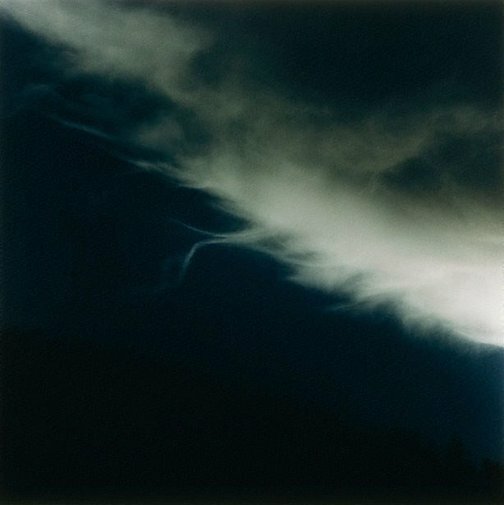 Bill Henson's first solo exhibition, held at the National Gallery of Victoria in 1975 when he was 19 years old, heralded the beginnings of a unique photographic vision of the Australian landscape. Known for his brooding imagery and exacting artistic process, Henson alludes to the darkness of Caravaggio, the lightness of Purcell and the drama of Wagner. The intensity and intimacy of his images broach the boundary of the painterly and the cinematic, combining both surface and depth to reflect a space between the mystical and the real. Like Francesco Clemente, his photographs may begin with a fleeting vision or impression, a piece of music or line of writing, that echoes subconsciously before manifesting in his work. Judy Annear, Look , 'Bill Henson cloud landscapes', pg.16-18, Sydney, Jun 2013, 16. Donna Brett, Contemporary: Art Gallery of New South Wales Contemporary Collection , 'Expression and the figure', pg.108-153, Sydney, 2006, 134 (colour illus.). Peter Craven, Mnemosyne , essay, pg.356-8, Sydney, 2005, 356-8, 377 (colour illus. ).